This is one of the most effective options for a powerful course for a set of lean muscle mass. At the moment, such a set of drugs is actively used in mens physicist and in classical bodybuilding, where you simply cannot grow fat in the offseason, as a result of which athletes monitor the quality of the weight gain. 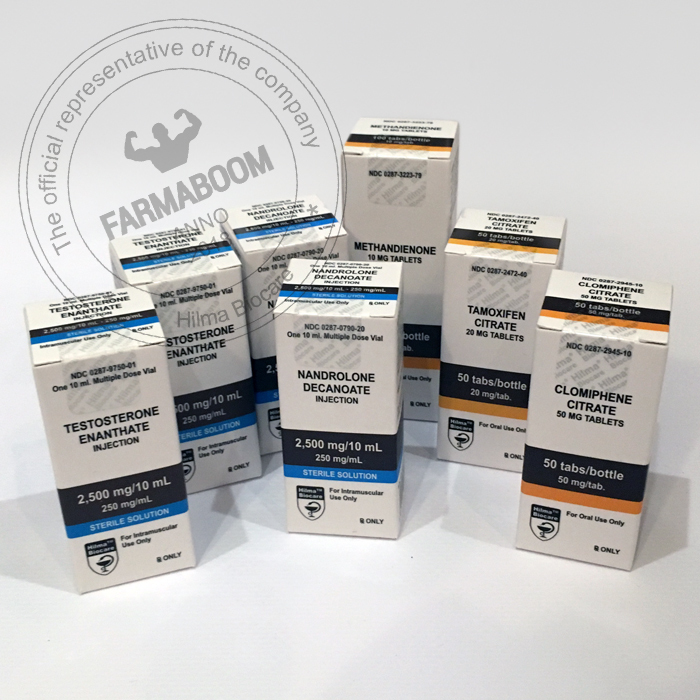 Testosterone Enanthate (HB) – 10 ml/vial (250 mg/ml) – improves overall tone, promotes saturation of muscles with oxygen, allows you to recover faster after active workouts. Also acts as a contraceptive. Nandrolone Decanoate (HB) – 10 ml/vial ( 250 mg/ml ) – increases muscle mass up to 8 kg per course, a minimum level of recoil, strengthens bones and ligaments, eliminates joint pain, increases red blood cell mass, improves immunity. Methandienone (Dianabol) (HB) – 10mg/tab, 100tabs/bottle – the maximum concentration of the active chemical Dianabol in the blood is reached an hour or three hours after it is taken. Already a simple intake of only 10 mg is manifested in a fivefold increase in the average amount of testosterone in men. A significant reason why Dianabol works well for every athlete is that endogenous cortisol production is reduced by 50-70%, as a result of which the breakdown of protein in the muscle cell is significantly slowed. Tamoxifen Citrate (Nolvadex) – 20mg/tab, 50tabs/bottle – stimulates an increase in the production of natural GnRH. As a result, increasing testosterone production. Clomiphene Citrate (Clomid) (HB) – 50mg/tab, 50tab/bottle – helps to speed up the restoration of the natural production of testosterone in the body. Thanks to this course you will gain quality muscle mass. Of course, the process is not fast, but progress will be noticeable every week. The gain of dry muscles is immediately noticeable in the mirror, in contrast to the banal set of fat and water. During the course, the main thing is to follow a few rules.Nutrition, moderate exercise and healthy sleep. Eating should be five to six times a day. The diet should include proteins in the proportion from 50% to 60%, fats & nbsp; up to 20%, but not less than 10% and carbohydrates from 50% to 60%.A couple of hours before the start of training, a portion of cereal, flour, or vegetables will give energy for practice. After a workout, preference is given to slow carbohydrates such as cottage cheese or cheese. Training should be 4 days a week for 45 minutes. If you get tired earlier, it is better not to overdo it and shorten the time of classes. It is better to pay more attention to sleep, which should be more than eight hours.